VINEYEARDS: A rather complex blend of three Merlot vineyards plus a dash of Petit Verdot. All our soils on Devon Crest are deep and well drained with a high clay content. Vines receive supplementary irrigation if we have water. Average yield 7 tons/ha. VINEYARDS: Reintroduced to our range in 2006, Cabernet Sauvignon has replaced our former Bordeaux blend Devon Crest, which is still fondly mourned. I believe Cabernet Sauvignon is particularly suited to our vineyard and thus important to showcase. Our soils, which are deep and well drained with high clay content, and the low yields define our wines. Vines receive supplementary irrigation. 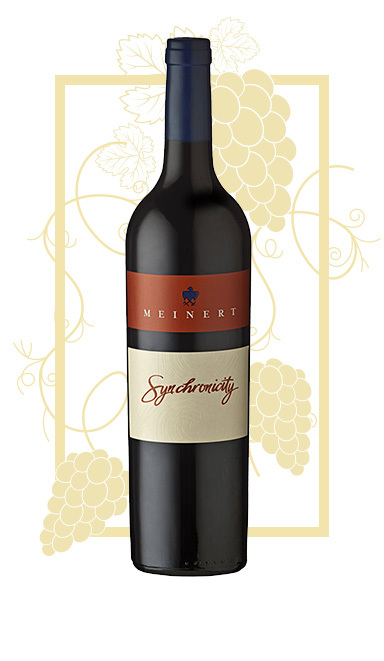 VINEYARDS: Synchronicity is our flagship wine, the annual reflection of this prime Devon Valley site. We select the best batches of each of our varietals and blend according to the strengths of each vintage, seeking complexity and balance. The vines grow in our red-brown deep rich soils, are between 7 (Cabernet franc) to 23 years old and receive no irrigation. Average yield 4.5 tons/ha. 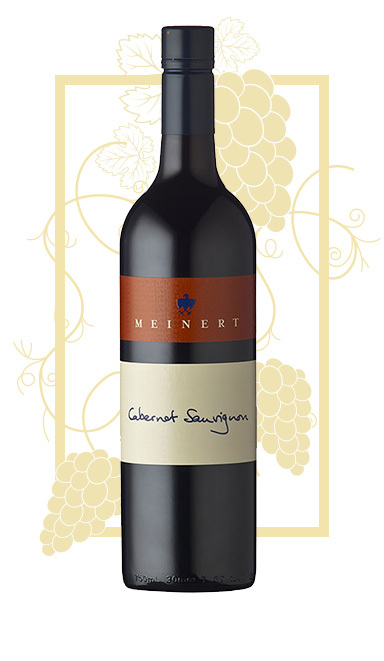 Meinert Wines is a small premium producer located in the picturesque Devon Valley within the Stellenbosch Region of the Western Cape of South Africa. Each bottle of Meinert wine is created with personal attention and care to ensure uniqueness and individual character. With only 80,000 bottles produced annually, every blend is personal and distinctive. Our grapes are meticulously selected from the cool Devon Crest and Elgin Valleys. Natural yeasts are used in fermentation and our wines are aged in French oak. Our beautiful boutique wine farm has a story inspired by a family’s history. From the names of the wines, to the symbols and the packaging, a story unfolds and a journey is followed. As one of the ‘patrons’ of the South African wine industry, Martin celebrates a new era, welcoming Brendan Butler; young yet accomplished and passionate wine master. Brendan is carrying on the beautiful art of winemaking at Meinert and honouring the legacy started at Devon Crest. 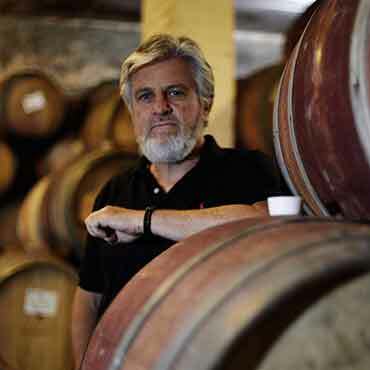 A celebrated Wine Master who has travelled the world collecting knowledge and refining his philosophies. Martin’s award winning wines reflect the character of the land and the vineyards. His personal preferences are honed by time and dedication and celebrated all over the world in his distinctive boutique wines. Thirty years of studies, travel and dedicated farming allows Martin to bring South Africa’s best wines to our tables. 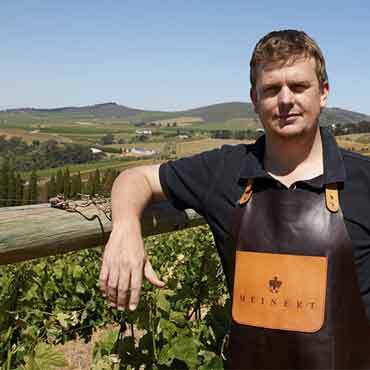 The youngest Cape Wine Master joins the Meinert team. At the age of thirteen, Brendan’s passion for the Cape and the vineyards was ignited. Through his studies in Viticulture and Oenology at Elsenburg, and his tenure at some of the top wine farms in the Cape, Brendan has emerged as one of the finest young talents in the industry. We welcome him as he joins the Meinert team to strengthen the brand and build on our legacy.